1995: Ardmore, OK Futurity Open Reserve Champion; NRHA Futurity Open Finalist. 1996: ANCR Maturity Open 3rd place. 1997: ANCR Maturity Open 3rd palce; ANCR Pre Futurity Open Reserve Champion. 1998: NRHA Vienna Open Reserve Champion; ANCR Derby Open Champion; ANCR Maturity Open Champion; ANCR PreFuturity Open Res. Champion; NRHA Americana Open Finalist; ANCR Open Champion; WEG ROMA Reining Demonstration Team; NRHA World Open Top Ten. 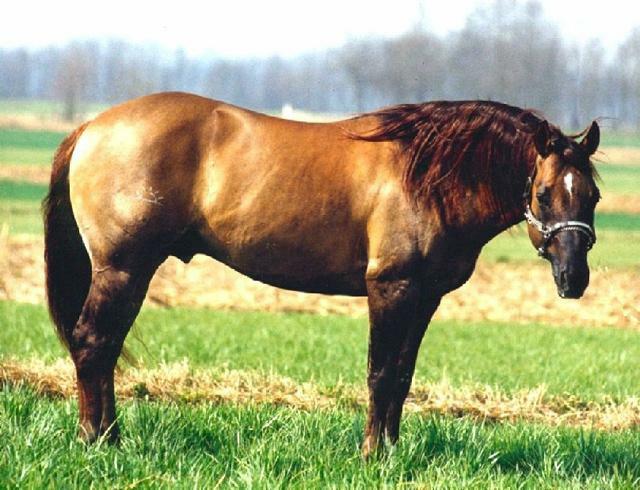 1999: NRHA Essen Open Reserve Champion; ANCR Castiglione delle Stiviere Open Champion. 2000: ANCR Caluso Open Champion; ANCR FISE Reggio Emilia Open Champion; ANCR FISE Portogruaro Maturity Open Champion; ANCR FISE Reggio Emilia-Futurity Open Champion; Campionato Italiano FISE x Coppa TeisseireOpen Champion. 2002: ANCR Alps Coliseum Open Champion; ANCR Reggio Emilia Open Champion; NRHA Reggio Emilia Open Champion; ANCR Torello Q.H. Open Res. Champion; ANCR Treviso Open Champion; ANCR Reggio Emilia Open Champion.